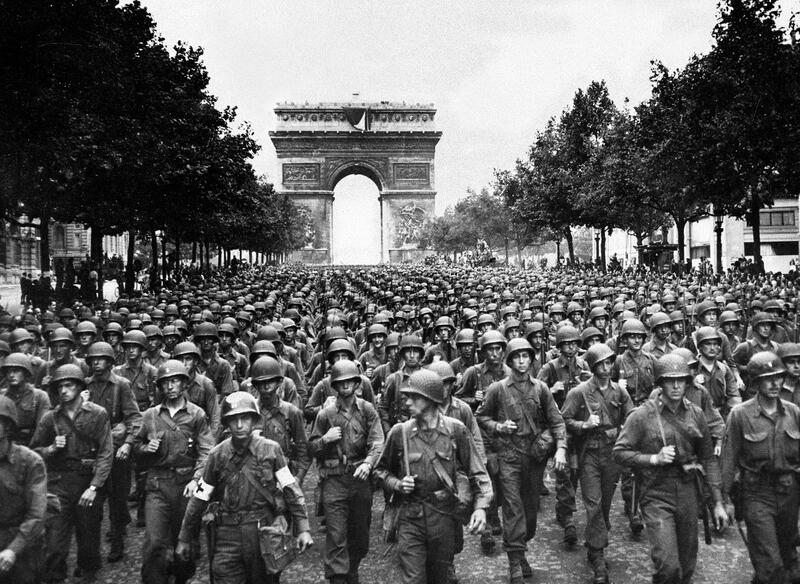 » US Twenty-Eighth Infantry Division march along the Champs-Élysées, Paris, France with l’Arc de Triomphe in the background, Aug 29 1944. Photo 2 of 2. This photograph has been scaled down; full resolution photograph is available here (1,247 by 911 pixels).